When you need a meatless Monday meal, look no further than the recipe below, which always delivers. 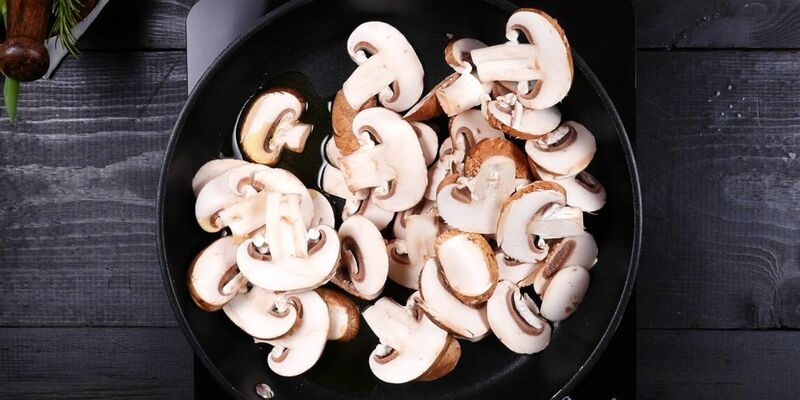 Mushrooms make an effective meat replacement because they mimic the meat's texture really well. As a bonus, they also soak in all the flavors of the garlic and cream sauce, transforming this meal into serious comfort food territory. They're definitely the star of this dish, and you won't miss the meat at all. If you really want to amp up the nutrition of this entree, use whole-wheat pasta. This makes the pasta a complex carbohydrate instead of a simple carbohydrate. 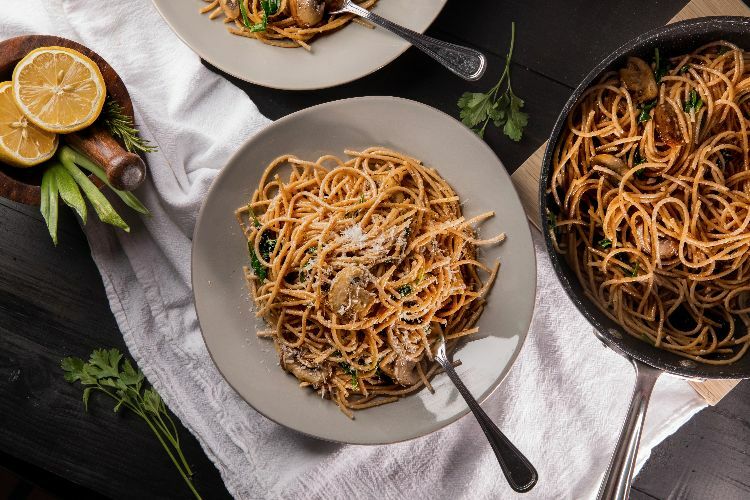 Without delving into the whole good-carb/bad-carb debate, just know the whole-wheat varieties are much healthier than pasta made with white flour. Cook the pasta as directed on the package. Drain the pasta and toss with a little oil to keep it from sticking. Meanwhile, in a large skillet, heat the olive oil over medium-high heat. Add the mushrooms. Cook them, stirring often, until they release their liquid before reabsorbing all the liquid. They will be slightly browned when they're done, which takes about 10 minutes. Add the garlic and chopped sage and cook until fragrant, about 1 minute. Add the spinach and heavy cream and bring the mixture to a boil. Boil for 8 to 10 minutes, shaking the pan from time to time, until the sauce has thickened. Add the cooked pasta to the pan and toss to coat. Garnish each bowl with 1 tablespoon of the Parmesan cheese.